It doesn’t matter when you latched onto Simone Felice, the results will always be the same. Whether you have been there right at the start with the Felice Brothers or through his latest acclaimed production and writing work with The Lumineers and Bat for Lashes, an extraordinary creative talent will be looming over the music being made. Away from his sibling collaboration and new found major producing role, there was a significant growth in his appeal in the UK with the branching out in the duo Duke and the King, subsequently followed by two stunning solo album releases. Since the tour to support his most recent album STRANGERS in 2014, which did feature a full band, the appearances in the UK have been trimmed to a solo status, although last year’s gig at The Glee Club did tag the excellent Anna Mitchell along for support. This evening’s Birmingham return to the same venue, also promoted by the established East Midlands guys at Cosmic American, was billed as ‘An Evening with Simone Felice’, thus presenting one man and a multitude of marvellous music. Edging onto the stage at half eight, Simone cuts a quirky figure, painting a unique portrait of an artist totally wrapped up in the sanctity of song. This is a performer tapping into a poetic licence to deal with the seemingly endless stream of song writing ideas. Sharing his songs with often committed audiences in such as profound style adds to the zest of catching Simone live and over the course of a near hour and half on stage, a well-attended studio room at The Glee Club was caught in the spell of a mesmerising performance. Non-conformity is the defining observation of Simone’s stage presence, and probably what makes many left of centre performers stand out. The first half a dozen songs were reeled off without comment and then just as you get settled into the mode of ‘it’s only the delivery of the song that matters’, the show evolves into a sphere of interactivity with Simone temporarily opening up. This is followed by three invited singalongs culminating in a wonderful encore rendition of his hometown ode ‘Bye Bye Palenville’. By then the process of mutual artist-audience affinity had been sealed. If the STRANGERS album had been your peak interest of his career to date then apart from the encore number, you would have been moved by ‘ Lady of the Gun’, the highly catchy alternative love song ‘Molly-O’ and another invited singalong tune in the emotively pleasing ‘Running Through Your Head’. The only regret from the evening was not hearing album favourite ‘If You Go to LA’, but there is only one person in charge and a common feeling of ‘in Simone we trust’. Older fans had their moments too, with Simone reflecting on the decade passing since setting out on the road with his brothers and thus featured ‘Radio Song’ alongside other favourites like ‘Don’t Wake the Scarecrow’. ‘Union Street’ and ‘If You Ever Get Famous’ reflect the Duke and the King days, while ‘New York Times’ and ‘Hey Bobby Ray’ gave a feel for his debut solo album. The second of these from the 2012 self-titled album proposed an angle of social justice and paved the way for the audience to become an apocalyptic choir for five minutes. 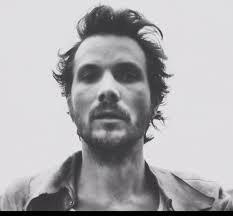 While expecting a reveal all performance from Simone Felice is not going to happen, you can learn much from his songs and how a person raised in the Catskill Mountains in upstate New York has grown into a revered song writing musician in the world of Americana, contemporary folk and alternative music. Taking in the music of this intense, dark and mysterious character can be an absorbing experience but the riches of his deeply penetrating songs hang like accessible ripe fruit. Enigmatic performers are often the source of rewarding musical experiences and Simone Felice makes this analogy quite real.